I hope you all had a tremendous holiday weekend. 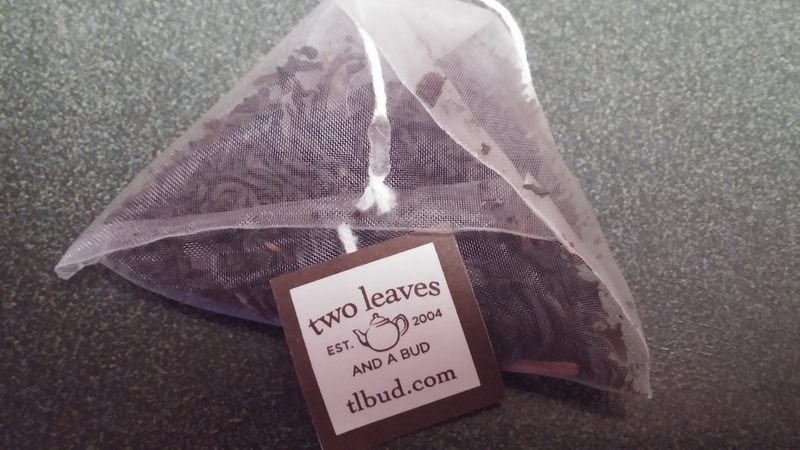 As in Part 1, I had the joy of sampling some new teas from Two Leaves and a Bud. 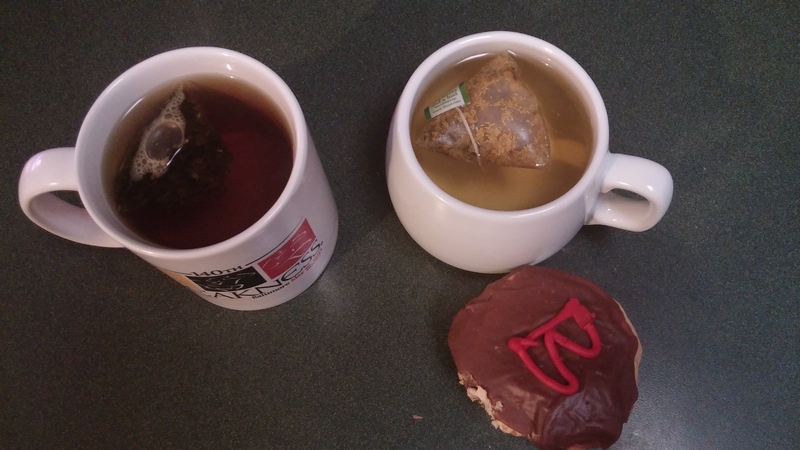 So I raved about the Peppermint and Chamomile, which was deserved praise. How were the latter two in comparison? And away we go. 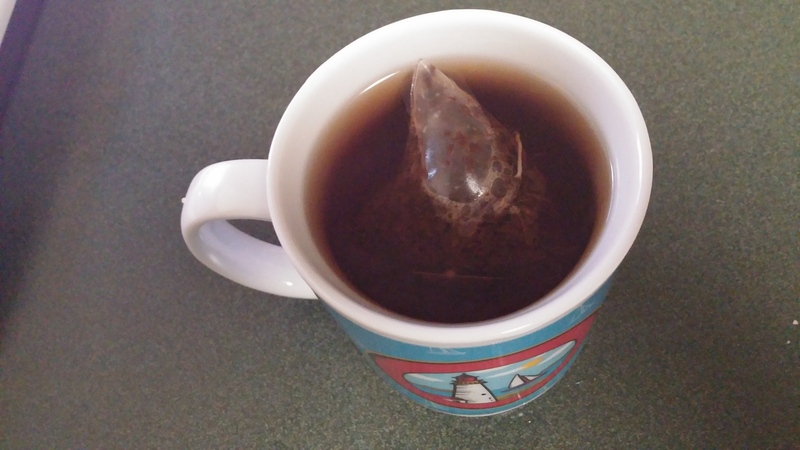 First up is the Organic Earl Grey. 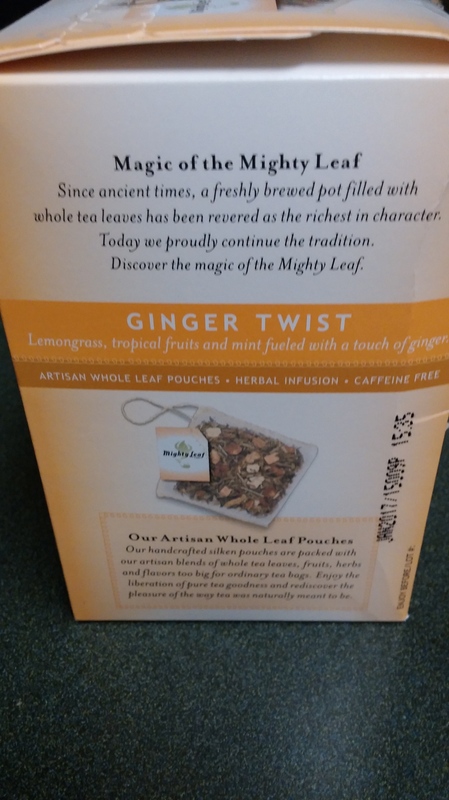 As I’ve stated before, this was one of the first types of tea I was introduced to, by my dad, many years ago. The smell and the taste always brings good memories of when I was a kid. How does this one stack up? Well the smell has a little more potency than other similar Earl’s that I’m used to. But that’s a good thing. 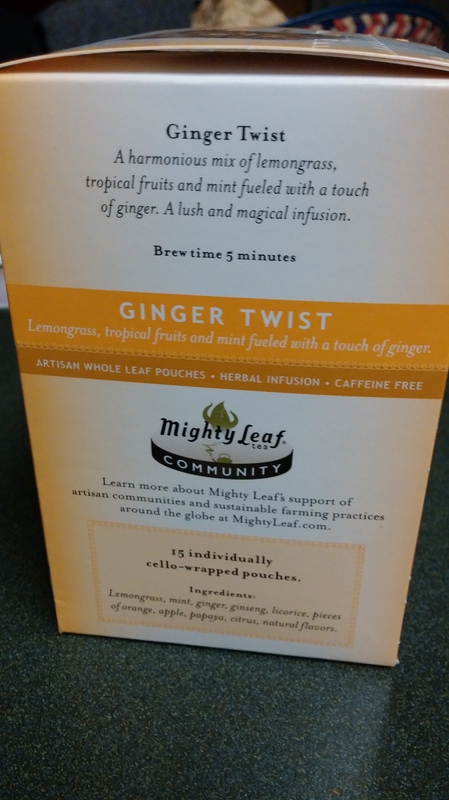 The Bergamot that is used to flavor this tea, really resonates. And like I stated last week, the color really showed through in rapid fire fashion. 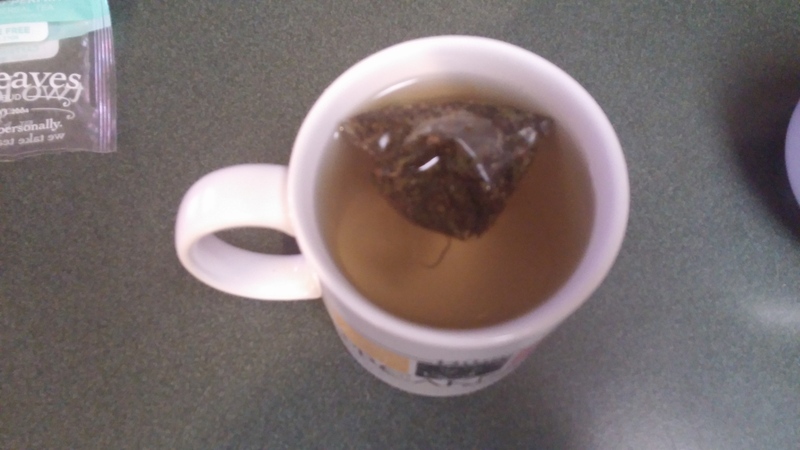 After just a few seconds of steeping, the tea was ready. Of the many fine Early Grey teas I’ve had before, this is up near the top. And once again, I think you could get multiple cups, without it losing it’s flavor. And with a moderate level of caffeine, it was just the right amount to keep me awake and get my day going. What a great tea this was. 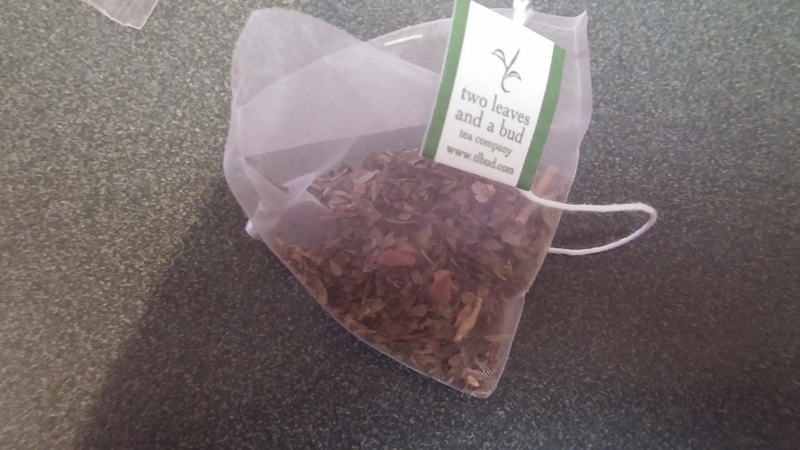 And finally, we have the Organic Assam Tea. 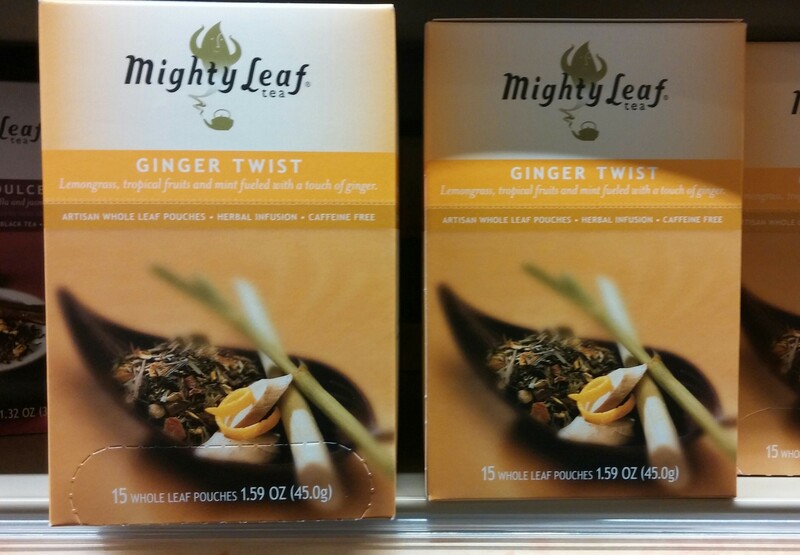 This is their take on Black or English Breakfast Tea. But per their description, it’s more than just that. In further reading, I see this is the CEO’s labor of love and the tea that’s had the most work and time spent on. I can see why. 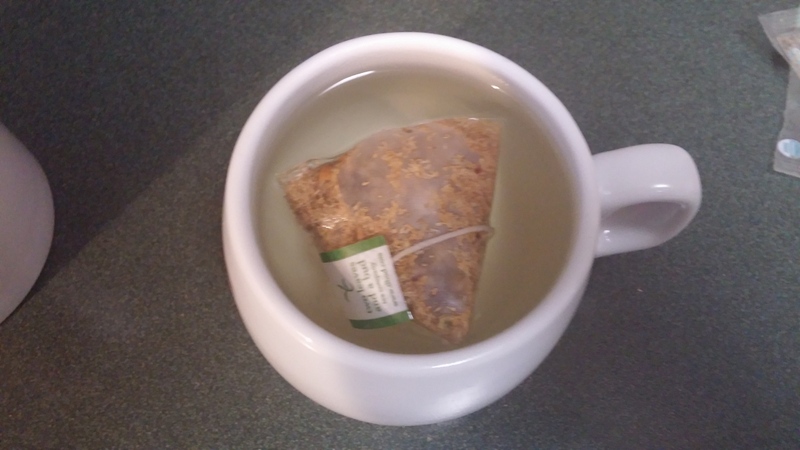 Many teas I’ve had in the morning, similar to this, are purposeful but really don’t stand out. This has a lot of character to it. A lot of soul was put into this. 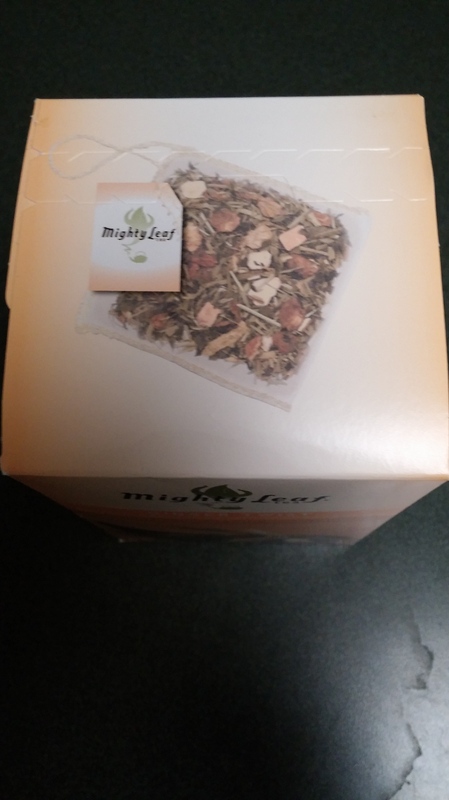 And the flavor, for me, has just a tiny hint of bitterness, which I would love in more teas. It’s not a taste I’m used to. But believe me, I could get used to it. 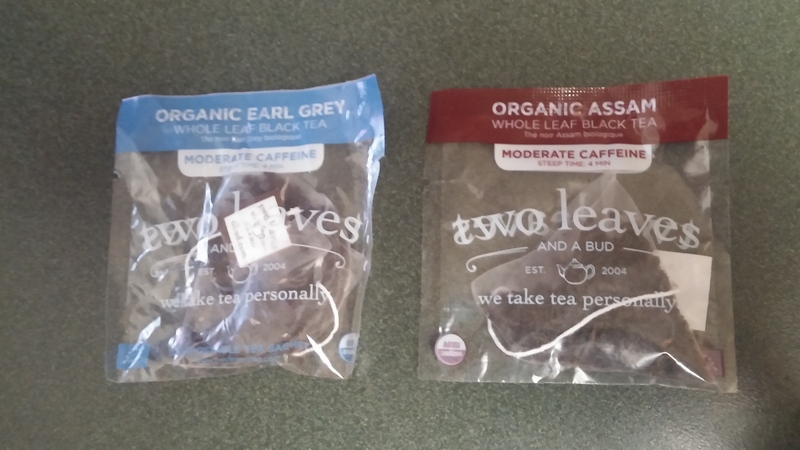 Now I have to go back and try my other similar teas, to see if they’re missing something. And the color is a little lighter than the Earl Grey, but again, has the right amount of caffeine, as to not get too jittery. 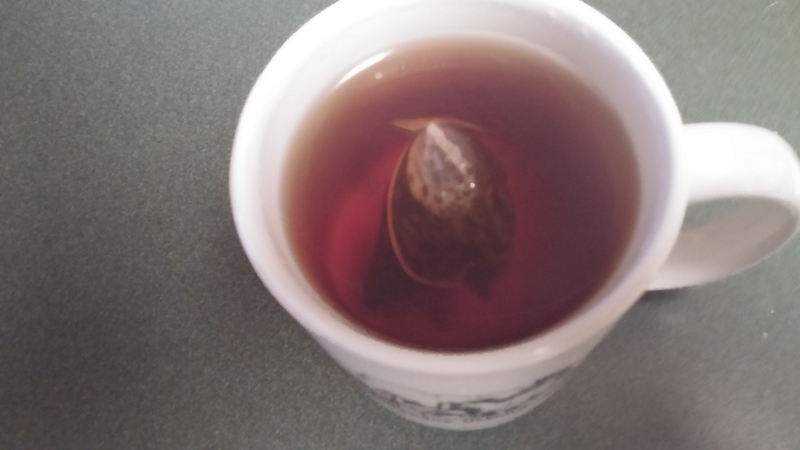 And again, the steeping took no time at all. 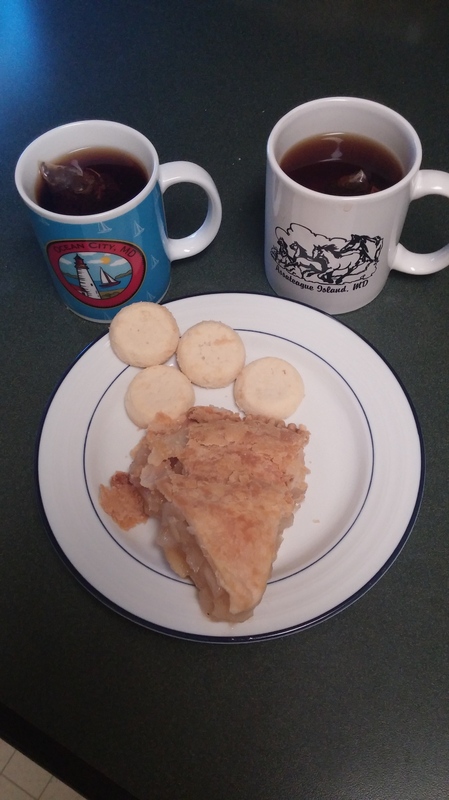 I had both cups at night with a slice of apple pie and some shortbread cookies! With this past weekend being a holiday, the mugs reflect places where folks may have visited. 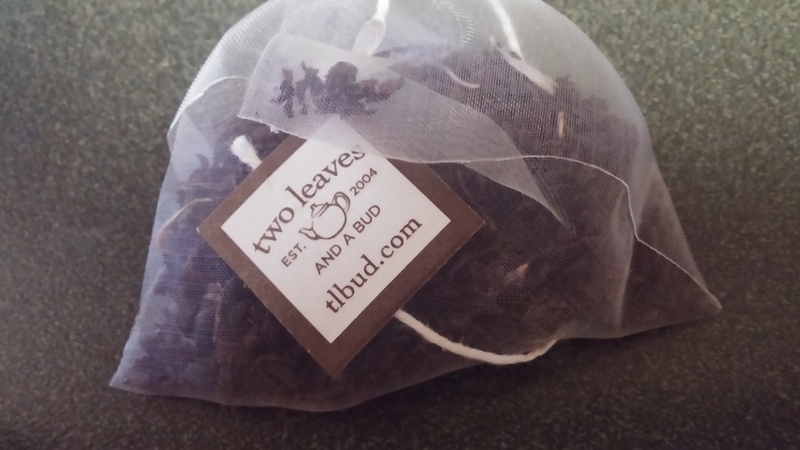 This might be the last I talk about Two Leaves for a while. I wish it wasn’t. But I hope I’ve given them the deserved praise. They have so many kinds I want to try now. And I will. If I need to order online or track it down at a local shop, I will do so. 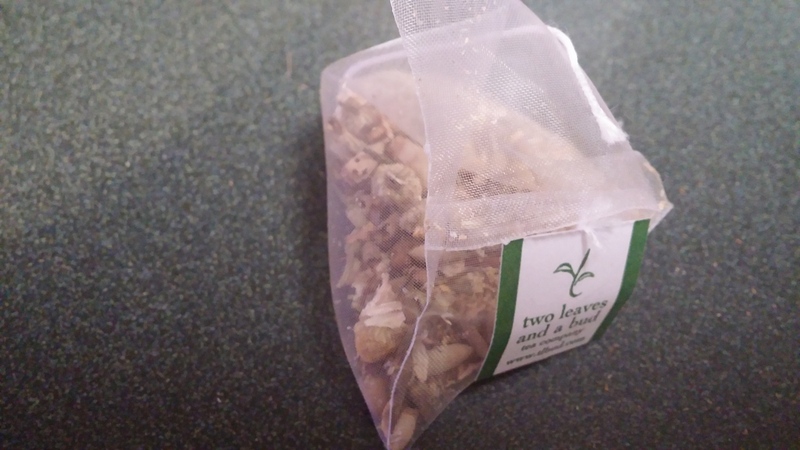 In the meantime, I will enjoy my samples and look forward to an amazing Summer of wonderful tea drinking. I had no idea what I was going to write about this week. And while canvassing the town for a tea to purchase, I caught up with an old friend. I caught up with familiar face. I believe it’s someone one we all know well. 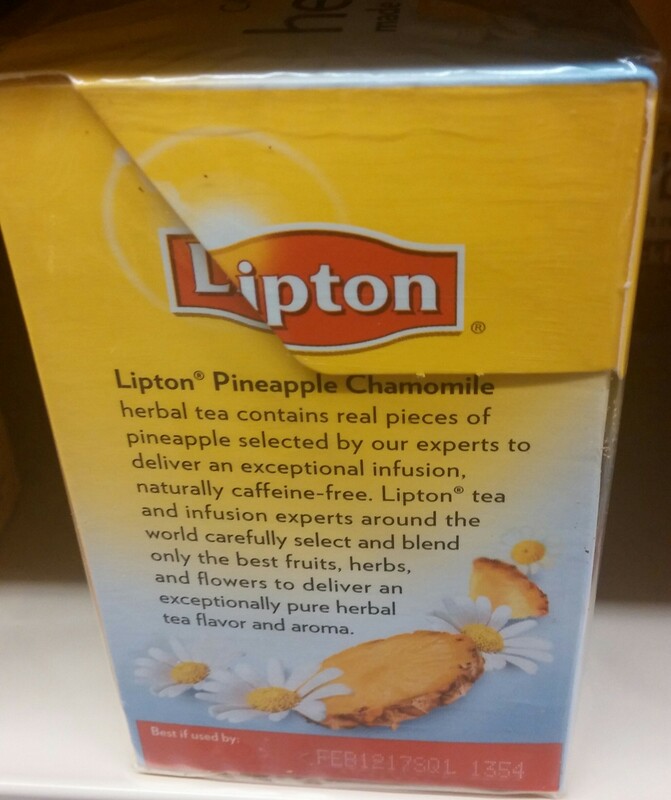 I was going to write about Lipton eventually. It was inevitable. And I’m glad I chose this time and the heart of the Spring season for my first. 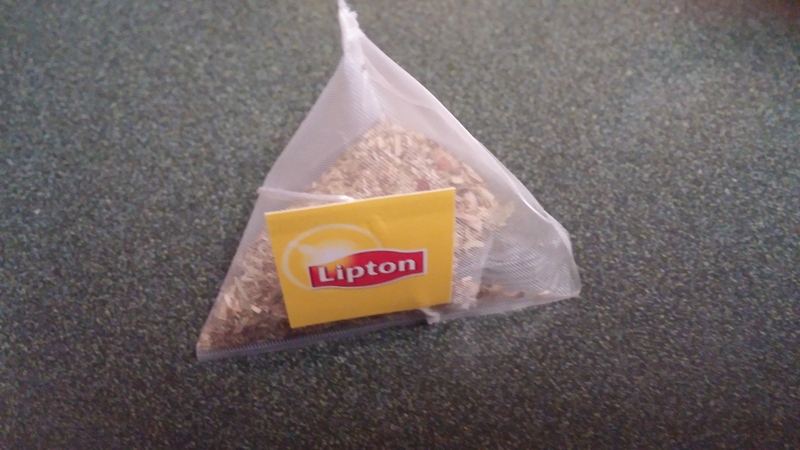 Lipton is one of the first teas I ever had. I think it’s safe to say that applies to a lot of us. At one time, many restaurants or convenient stores, only carried the old school black teas from them. If you wanted coffee, there were more options. But if you wanted tea, it was usually that one or nothing at all. It’s a different time and more folks are drinking tea than ever before. And the flavors and creativity are off the charts. 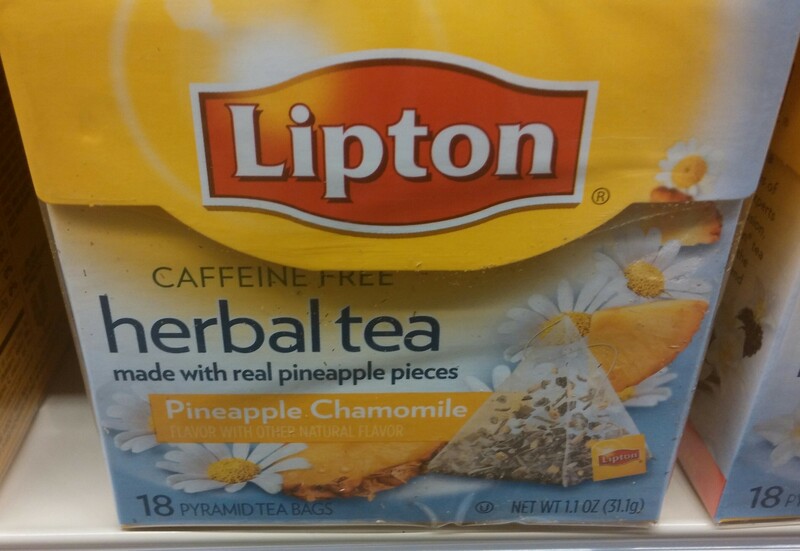 So when I took a drive to find some cool teas, I discovered the Pineapple Chamomile. And it’s very good. 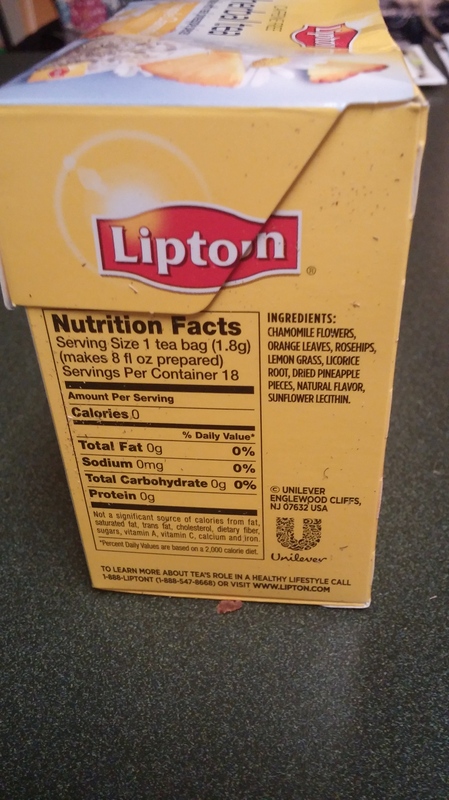 And Lipton, along with any other companies, have really kept up with the times. I had no expectations going in. And I am pleasantly surprised. 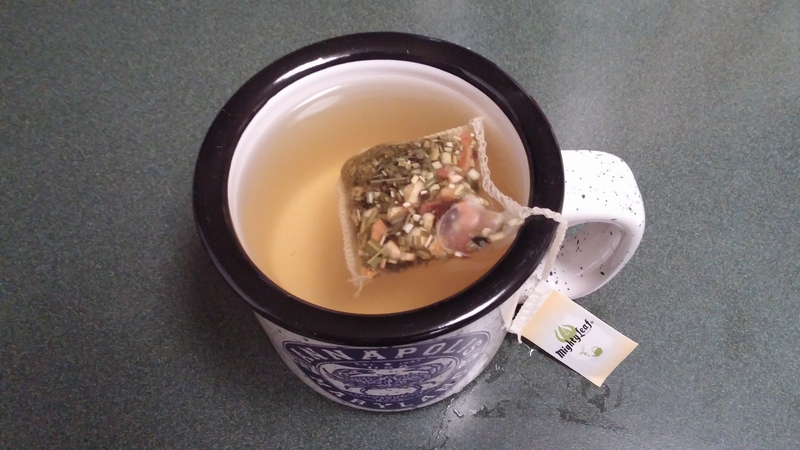 For a warm weather tea, this is perfect. I’m updating this post, for the morning after. I had some of the best sleep I’ve had in some time. And I have more energy today than usual. 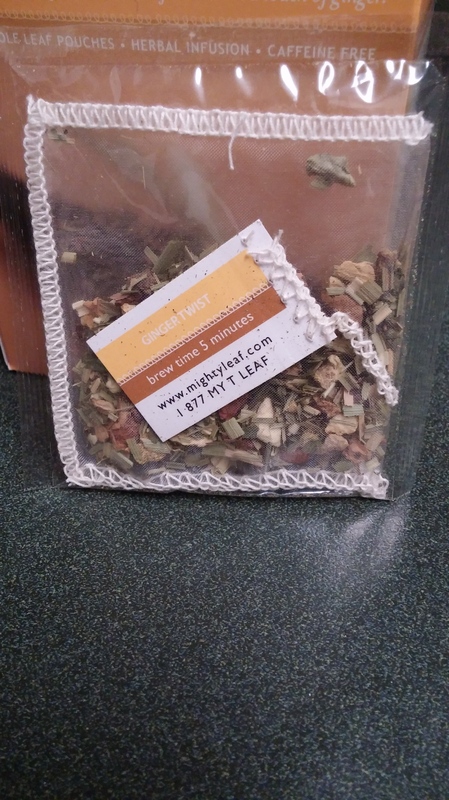 This tea has something special going for it. 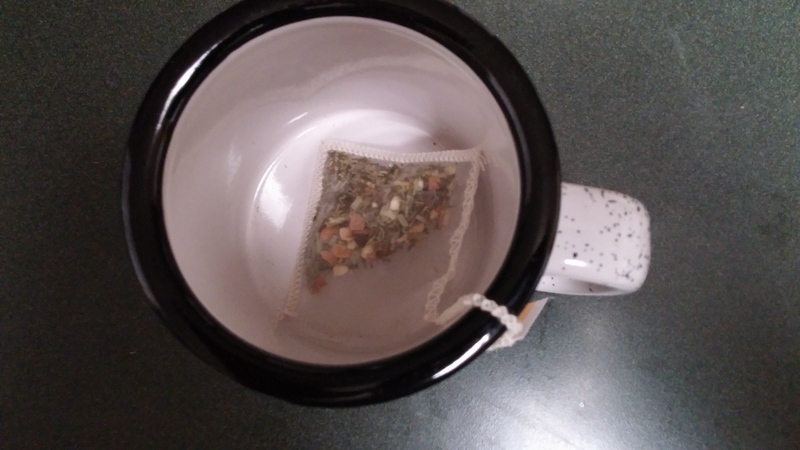 Chamomile is a flavor that took a while for me to enjoy. 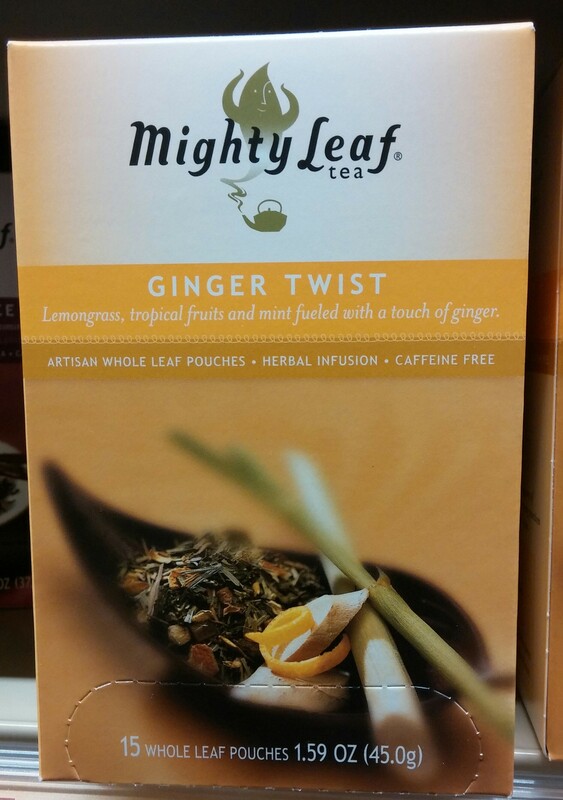 Now it’s a tea I actively look for when I’m at my nearby market or tea shoppe. 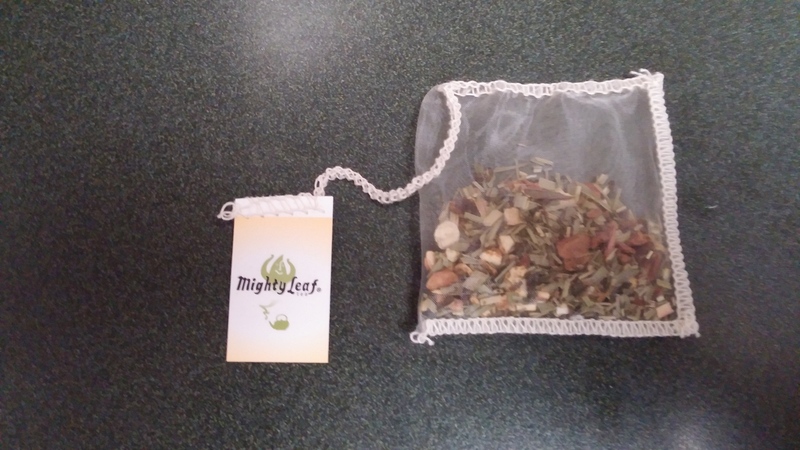 I’m happy this is my first review of said herb. 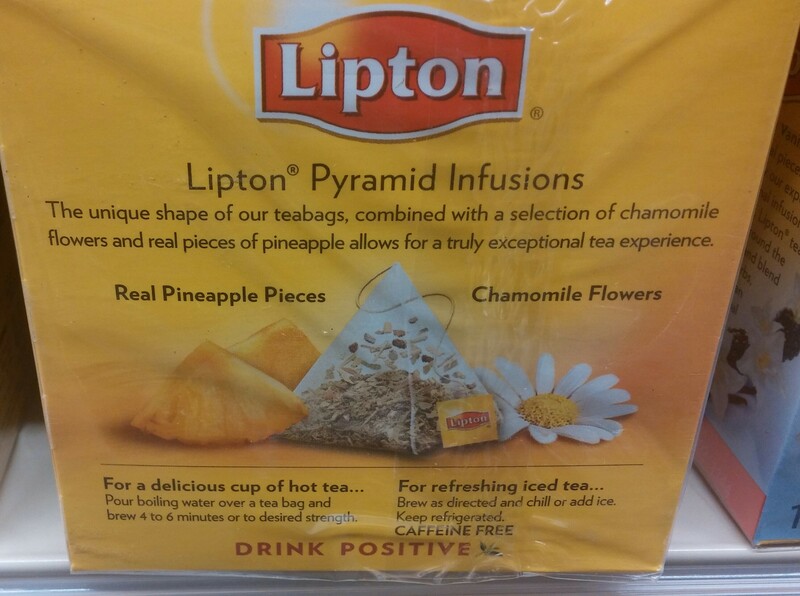 The pineapple and chamomile flavors are both detected immediately. And the aromas are fantastic. Some of the other ingredients seem like great complements, but I may have only gotten a smidgen of those. That doesn’t take away from the fun of this tea. I think serving this cold during these happy months is ideal. 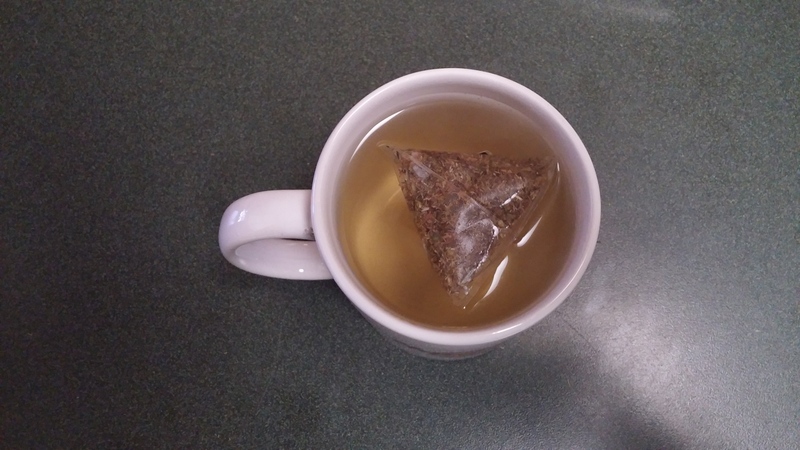 And how cool is the pyramid-shaped tea bag? 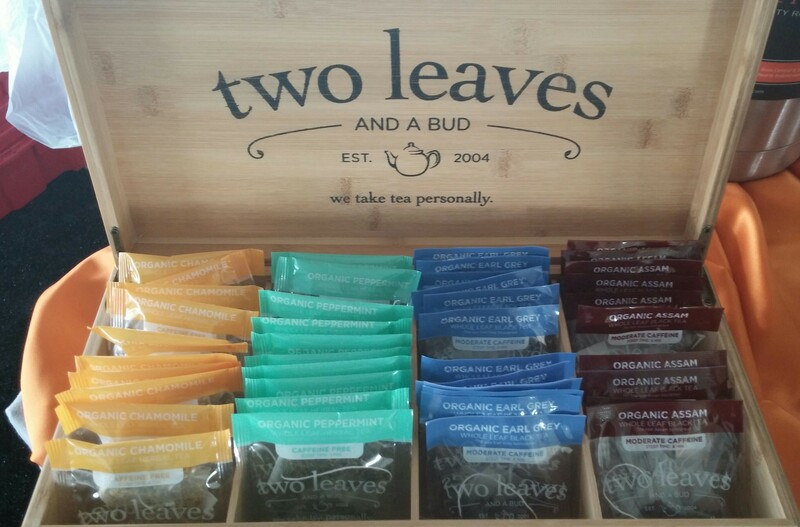 More tea companies are amping up their creativity, not only with their flavors, but with their presentation. 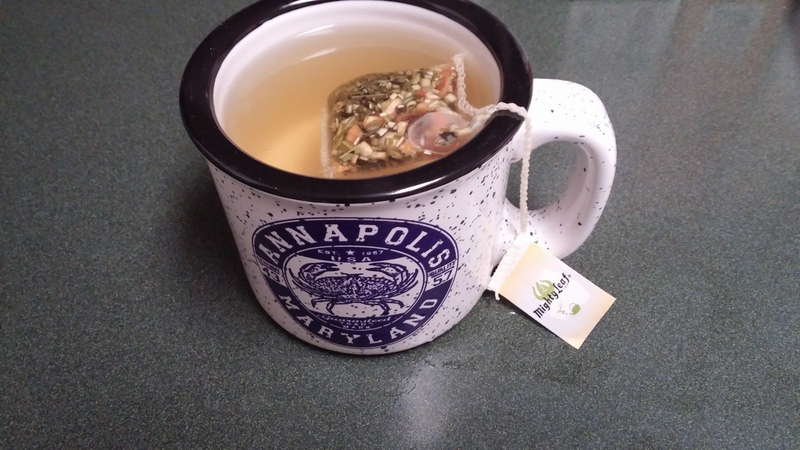 I found a Hard Rock cafe mug that matches the beautiful color of the tea. The golden pineapple color really is a charmer. 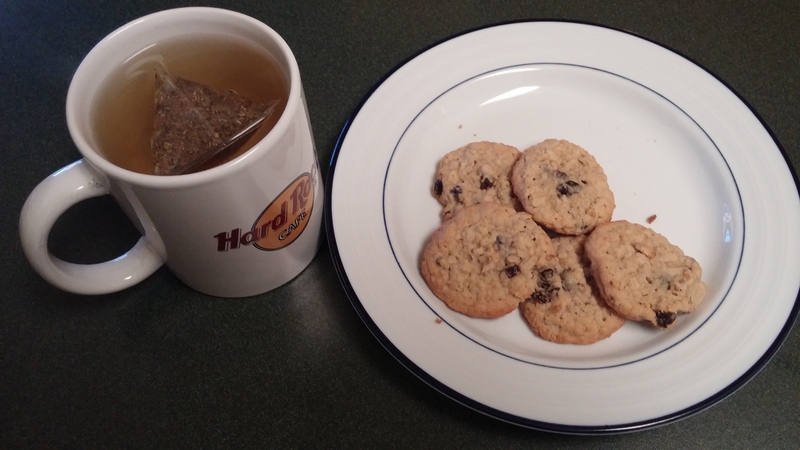 I’m enjoying mine with some mini oatmeal cookies. As I write this I’m liking this tea more and more. Lipton really brought something refreshing here. And in checking out their wide array of flavors, I will be reviewing a new one very soon. Yum!